TIMBER: COMING SOON TO A CODE NEAR YOU? 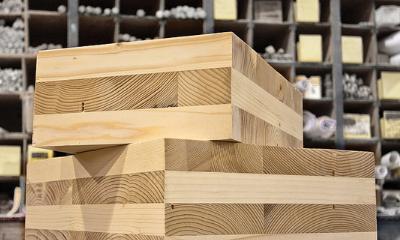 As cross-laminated timber (CLT) becomes safer, cheaper and more sustainable, the timber buildings movement is gaining traction across the world, with several projects even being planned in New York City. But there are still many barriers to widespread adoption. While the 2015 International Building Code included standards for CLT, nearly all U.S. building codes have yet to follow suit. Direct Air Capture (DAC) technologies convert atmospheric carbon into stable forms. Panelists will explore potential applications of DAC in cities. Catch up with friends in the green building community as you tour the COOKFOX offices and enjoy drinks and hors d'oeuvres on the terrace. Back by popular demand, join Urban Green for a tour of this state-of the-art facility in Brooklyn. You'll get a firsthand look at the recycling process. 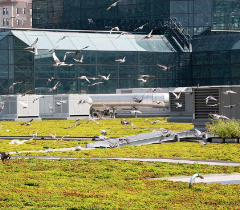 Join us on June 27 for a tour of the Javits Center Green Roof, the second-largest in the United States. The roof is home to 26 bird species, five bat species and thousands of honeybees; it has contributed to a 26 percent reduction in the facility's annual energy consumption. This is a Members-Only tour. Not a member? Join or renew today! 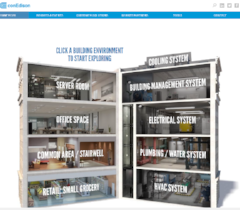 Take a virtual journey through a typical commercial building to pinpoint key areas for potential savings, find case studies by industry, watch a video from a subject-matter expert or read an article. It's all there to provide an informative educational experience. Plus, discover how you can earn rewards by participating in ConEd's Smart Usage (Demand Response) program by temporarily reducing peak demand during the Summer months. Sustainability and resilience are two sides of the same coin. Join architect and eco-entrepreneur Doug Pierce of Perkins+Will as he explores the theory and practice of resilience, offering clarity on how sustainability and resilience overlap, and where they differ. This transdisciplinary presentation will also highlight the RELi Resilience Action List and rating system, which are readily available to design practitioners, decision-makers and policy experts.